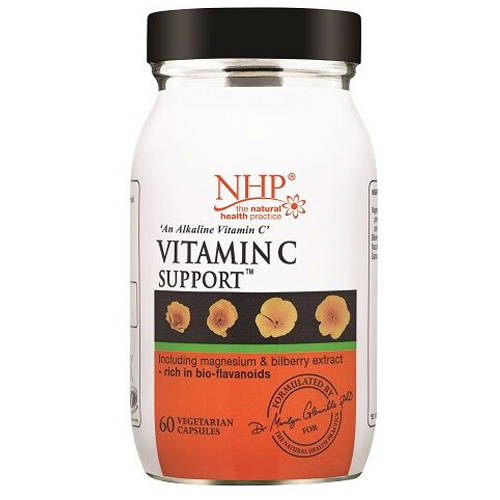 Natural Health Practice Vitamin C Support is made from magnesium ascorbate. Vitamin C is one of the most important vitamins, essential for optimum health and the efficient functioning of the many different systems of the body. Magnesium Ascrobate (Providing Vitamin C and Elemental), Bilberry Powder Extract (Vaccinium Myrtillus Fruit), Hydroxypropyl Methylcellulose. For best results take one capsule, twice daily with food. Below are reviews of Natural Health Practice Vitamin C - 60 Vegicaps by bodykind customers. If you have tried this product we'd love to hear what you think so please leave a review. Natural Health Practice - Vitamin C Support is made from magnesium ascorbate. Vitamin C is one of the most important vitamins, essential for optimum health and the efficient functioning of the many different systems of the body.